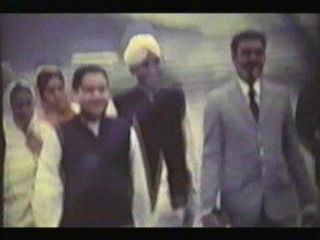 The 'Passages' video seems to have been created to refute some of the criticisms of Prem Rawat or Maharaji that were being aired on the internet. It contains scenes of some of his most loyal, long term followers providing a revisionist history of the Divine Light Mission years. 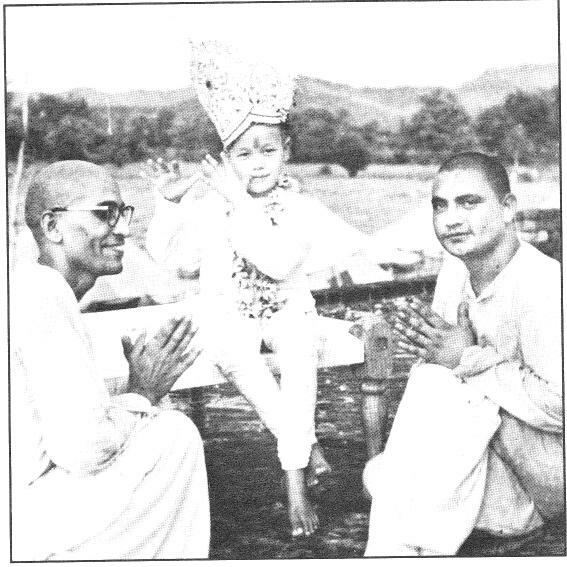 They mainly argue the incredible position that it was the Western followers themselves who mistakenly associated Hindu religious and cultural traditions with Maharaji's Knowledge and were taught false ideas by Maharaji's family members (except for Raji Ji the second youngest brother) who were conspiring to use the movement as a money making tool for their family business. They claimed that it was the young Prem Rawat himself who realised in the 1970's that his premies were using these practises like 'darshan' where they filed past and kissed his feet and the use of 'charanamrit' or 'Holy Water' in which they were given small, specially bottled containers of water in which Prem Rawat had washed his feet and 'Arti' where they sang an extremely devotional song to him with some lyrics that he had written himself. Worst of all, they took his other titles like Satguru, "Lord of The Universe" and "Perfect Master" at face value rather than as Hindu phrases that shouldn't be taken too seriously. 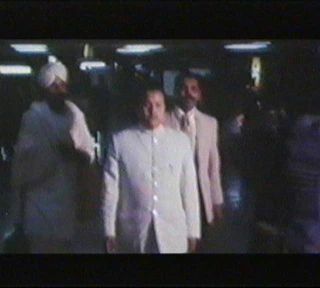 The video has a section dealing with the history of the Perfect Masters, a large section devoted to Maharaji's most loyal, longterm students talking of their love and devotion to him and a large section devoted to Maharaji's most loyal, longterm students talking of the mistaken and false ideas they and other premies had in the 1970's. There is a table available here containing links to various clips and transcipts and captured images extracted from the Passages Video which are available. 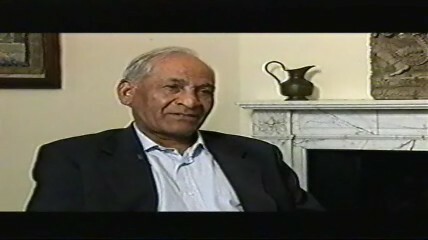 Gurucharanand testified for Rawat in the 2001 Passages video. He was the star of the show with his practiced ease. The other participants had not spent most of the last 40 years constantly travelling around and preaching about himself and Rawat, in fact they had been ordered not to talk about the Knowledge and Rawat in public. "One time Shri Maharaji was speaking to us and errh there was a professor he asked him this question, "Uh Shri Maharaji when you leave your body and people start worshipping your statues or photos and ask for the Gift of Knowledge will they be able to receive Knowledge from your statue?" And Shri Maharaji said "No way! Only the living Master after me will impart this Knowledge, not my photos or statues. And then he made it very clear, he says, "Only a living doctor can help a patient, only a living leader can take care of the situations, problems in his country, and only a lamp that is lit can light other unlit lamps." So in the soms(? ), in the same way, only the Living Master of that time can impart this Knowledge, there's no other way. "We were standing on the roof of the house where Shri Maharaji used to stay and it was full moon and Maharaji said to me he said 'Look at the moon, I feel Shri Maharaji's presence everywhere' and he just ?? whether we are we lost in our sorrow or we still remember the dearest thing to him, that was propagation of Knowledge. Are we you know thinking about that feeling about that to continue his wishes and I said "Yes Maharaji you are right, I feel the same." And I was so deeply touched when I heard him expressing his feelings and concern about that in a very innocent way. He was only 8 years old at that time and then next day he spoke and everything was so clear that yes he's the one who is going to do what Shri Maharaji many times proclaimed about him." "When Mata Ji found out, Maharaji's mother that he was going to go to England and we all were in Delhi and she, she said 'Are you, I heard that you are going to go to England?' He said 'Yes'. She said, 'I don't feel comfortable to send you at this age, you're only 13, going to the foreign countries. You have to complete your education.' And Maharaji said, 'Mata Ji, I wanted to learn English according to Shri Maharaji's wish which I have done. Now, I don't want to waste my time in school. Teachers in this school have nothing to teach about my topic, my subject and I'm fully confident to convey my message and this is the right time that I need to go.' So he was very strong in that feeling and on the other side she was not still comfortable to say OK you can go and then Maharaji di not want to you know get into argument and he just started shedding tears. Something was pulling him to come to the West and then Mata Ji looked at me and she said, 'Do you really think that Maharaji should come to England, go to England?' I said, 'That would be wonderful Mata Ji, so many people are longing to see him. I just simply showed his pictures and what they want to see him alive.' She said, 'OK, take him but promise that you will bring Maharaji back to his school in 3 weeks.' I said, 'No problem!' (smiles broadly) I said to myself you know 'Future will take care of itself.' ". "Mata Ji had her own plans hahahah for Maharaji's marriage organising with such a big pro procession like in the Ramayan we read that when Rama Ji married the whole country knew and she had the idea that all the world, all the premies from all over the world were going to be invited and there would be big procession in Delhi and all kinds of things so she used to express her feelings like that so when that happened I said, 'Oh Maharaji is Maharaji, He can do anything he wants', then this whole thing happened and I was in between both of them, both of them, in my heart there was one prayer to see both of them happy. That was all I could do. When I saw that was not going to happen then I had to make my decision so it was not that easy time for Maharaji and for, you know, many of us." 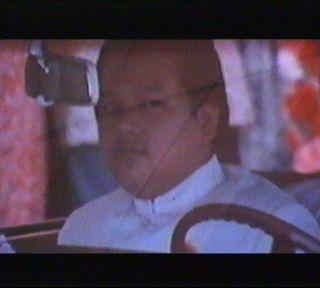 Oh Maharaji is Maharaji, he can do anything he wants'." Maharaji is Maharaji, He Can Do Anything He Wants. "For all of my life I've been this feeling that he's with me at every step in this journey." That is a remarkable statement considering Charanand is a lot older than Prem Rawat and was already a renunciate monk, taking steps in this journey, when Rawat was proclaimed as the Satguru. Of course, he believes that Rawat truly is the Perfect Master and that the Power of God incarnated into the young Prem Rawat and out of his father's body when Rawat's father died. "I remember when Maharaji started having these er Rejoice programs and uh giving people Knowledge reviews that was the time he began really talking about the simplicity and that stillness inside. So one person said "Oh Maharaji, I want to thank you so much that today you made something so clear to me. My friend and my brother always used to tell to me they would see big light and they would hear celestial music and taste nectar and this and that but I would feel only that peace, that calmness inside. And I would always feel bad that was wrong with me that I don't have these thundering experiences but today you made it clear that's very calming and quiet experience." 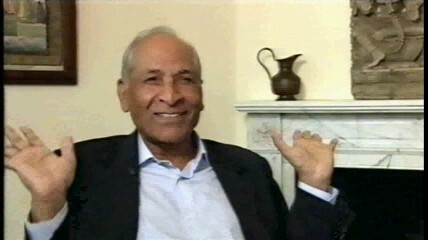 Rawat began to reinvigorate Elan Vital from 1987 with the Rejoice tours where he changed the meditation techniques of Knowledge with most of the remaining Western premies. In this video Charanand explains the "new understanding" of "the experience of Knowledge" that Maharaji now began to teach his students. They were now taught that the big thundering of Light and Divine Music and tasting of Nectar they had been told of in the 70's, and that they assumed each other had been experiencing, had been mistaken. (soundtrack: Weeping In My Joy by One Foundation) Maharaji began to receive invitations to speak from many different parts of the world. 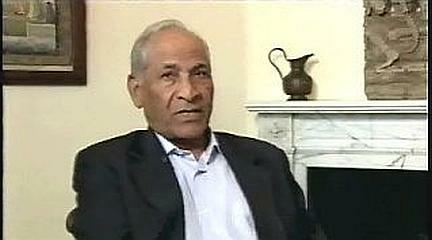 During the following year he was to visit Germany, Switzerland, Kenya, South Africa, Japan and Australia. Everywhere he went he and his message met with a warm reception. The size of his events was getting bigger and bigger. Actually everywhere he went he met with derision except for a tiny majority of receptive hippies and ex-hippies. The size of his audiences grew rapidly from six people until 1973 when the Millenium '73 festival, "the most Holy and significant event in human history" (as Rawat wrote in his invitation letter) showed there were less than 15,000 Western premies. 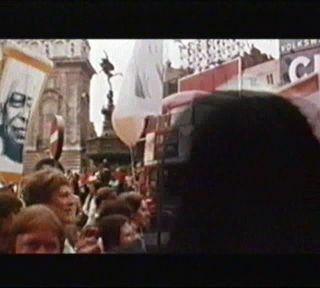 Outside of India crowds around 20,000 gathered on a few occasions in the late 70's and in the late 90's around 10,000 gathered a couple of times. In India, he lost virtually all of his followers to his eldest brother and never again has he come close to getting an audience of 1 million people as he did in 1971. 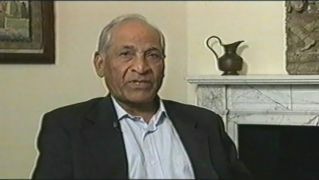 As of 2008 Gurucharnanand, or Charan Anand - golfer and tennis player, is still touring for Rawat though he did not remain a celibate monk all those years. He now plays the role of elder statesman of Rawatism appearing at Golf tournaments and other fund-raising events for the wealthier of Rawat's followers. In 2014 he did a tour of Australia.